Sigma has announced pricing and availability for its 16mm F1.4 DC DN Contemporary lens, which was introduced at the 2017 PhotoPlus Expo last month. The Global Vision lens is scheduled for late November delivery, with a price of $449. We reviewed the Sigma 100-400mm F5-6.3 DG OS HSM | Contemporary recently and look forward to a hands-on test with this new lens. The 16mm wide-angle features a compact and lightweight build. Its lens body is dust- and splash-proof for performance in challenging weather conditions. The lens comes with a large petal-type lens hood. 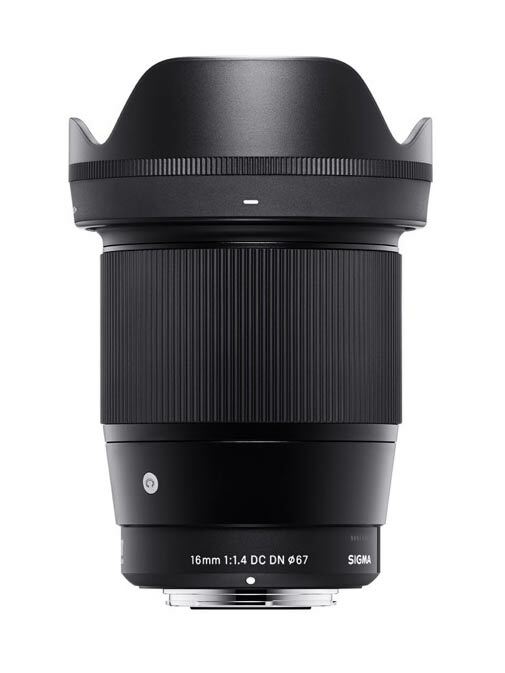 Get more information about the Sigma 16mm F1.4 DC DN | Contemporary lens on the Sigma website. Ronkonkoma, NY – November 9, 2017 – Sigma Corporation of America, a leading still photo and cinema lens, camera, flash and accessory manufacturer, today announced that its brand new Global Vision 16mm F1.4 DC DN Contemporary lens for APS-C mirrorless Sony E-mount and Micro Four Thirds camera systems will be available at the end of November for $449.00 USD through authorized US retailers. The fast aperture, wide-angle 16mm prime lens is the first lens offered for Sony E-mount systems to feature a 24mm F1.4 focal length (35mm equivalent) and aperture. On Micro Four Thirds systems, it offers a 32mm focal length. Lightweight and compact, the 16mm F1.4 is equipped with a stepping motor designed for fast, ultra-smooth, and accurate autofocus performance for both still and video capture. Key features include a dust- and splash-proof mount, nine rounded aperture blades, advanced lens coatings to minimize flare and ghosting, and a reversible and removable petal-type hood. 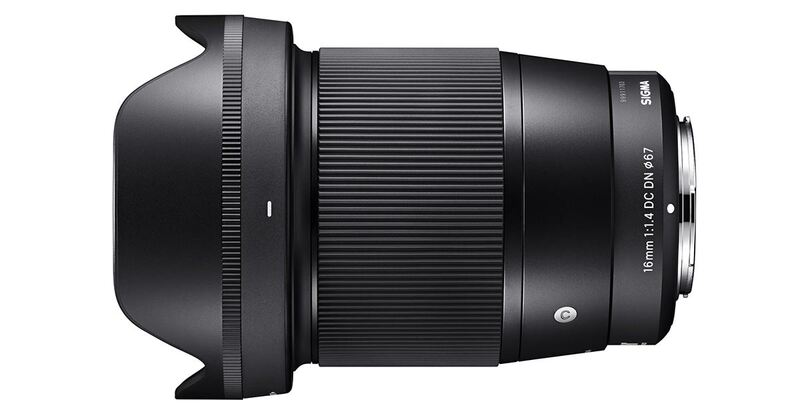 Full technical specifications can be found on the Sigma website at: www.sigmaphoto.com/16mm-f1-4-dc-dn-c. Featuring the very latest technology, and combining optical performance with compactness, Sigma’s high-performance Contemporary line covers a wide range of needs. The innovative line bears the hallmark of a “true all arounder” lens. Contemporary primes and zooms cover popular focal lengths, capturing with stunning clarity the versatility of life from family moments, street photography, to photo journalism, and travel. Like all Sigma Global Vision lenses, each Contemporary lens is manufactured at the Sigma factory in Aizu Japan and is individually inspected before shipping.